When looking at any type of unfinished wood at a lumberyard or flooring supplier, the majority of wood on the market has been kiln-dried to bring the wood’s moisture content (MC) into a workable range to prevent problems during the life of the final product. Kiln drying is a controlled process that speeds the natural transition of moisture from “green” lumber to a wood product that will be free from warping, buckling, splitting and a host of other moisture-related defects. However, it’s important to understand that kiln drying does not guarantee that moisture-related problems will never affect a particular piece of wood flooring. Kiln drying is only one step in the journey of any wood from its growing green life as a tree to its final finished wood product. What Does Kiln Drying Wood Really Do? A living tree is a series of interconnected cells and pathways that conduct water from the ground up through its trunk and branches to the tips of its leaves. When the tree is fresh cut, this moisture within the structure of the tree remains. It will eventually leave the tree through evaporation, but this process (referred to as air drying, because it involves MC being carried away by ambient air currents) is a slow one. If a tree air-dries too quickly the wood can split, warp or crack, damaging the potentially useful wood. Kiln drying uses a combination of heat and airflow to reduce the MC of green lumber in a shorter time frame than air drying would require. The target MC level will vary by wood species, but the ultimate goal is to have the wood reach a point that is roughly in balance with the relative humidity of the air around it. Accordingly, each charge (or kiln load) is sorted by species and dimensions to optimize the process, to ensure that the final MC levels are even across the charge, and to bring the wood to an MC level compatible with a general guideline for wood MC. 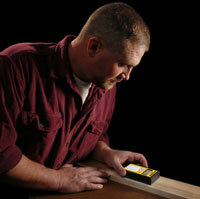 In-line and in-kiln moisture measurement systems help to determine when the wood has reached optimal MC levels. Mills and manufacturers alike invest time, money and training into their drying processes to provide uniform results and optimal wood flooring products at the correct moisture levels for their customers. The kiln drying process provides the best possible environment for removing excess moisture from wood in a timely fashion, delivering the highest possible quality material. The goal is to remove the excess moisture while minimizing the damage to the wood that rapid changes might cause. So if the wood leaves the kiln at the required MC level, the MC process is complete, right? Wood is a hygroscopic material. It constantly interacts with moisture in its environment. The cells and pathways of the living tree will still absorb or release moisture as necessary to find a balance with its environment. If the surrounding air is higher in MC(relative humidity), wood will absorb some of that moisture. If the air has lower moisture levels, the wood will release moisture. This process will continue back and forth until the wood has reached a point of balance with the surrounding air, a point called EMC, or equilibrium moisture content. Wood may have the majority of its moisture removed during the kiln drying process, but it does not lose the ability to reabsorb moisture from its environment. Whether from a direct water source, moisture in an adjacent material or even humidity in the air, by its very nature, wood will be ready to absorb any moisture it contacts. Kiln drying doesn’t “fix” the MC level of a wood product; it merely reduces the amount of moisture to a generally workable range. Wood’s MC will always be a variable, not a constant. Here’s why kiln drying is only a first step in the MC process: At any step of the process after the kiln–transportation, manufacturing, storage or installation–it is possible for wood, even manufactured wood flooring, to lose additional moisture (in a dry environment) or re-absorb ambient moisture (in a humid environment) and have its MC level, and possibly even its dimensions, change again. This can present some very real challenges for you as the end user, particularly if you assume that kiln-drying alone is sufficient to protect from moisture-related problems. Wood flooring installers know wood’s MC varies depending on its environment. It’s just as important to allow each board bundle to acclimate to the job site environment before installation begins as it is for the manufacturer to make sure the MC is accurately monitored before it leaves the plant. 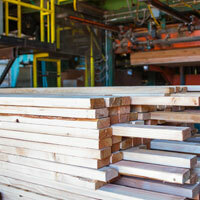 Any flooring must be allowed time to adjust to the job site before beginning assembly, sanding or staining. Whatever your application, the wood you use must be given time to adjust to the environment in which it will be worked or installed. A simple and easy-to-use wood moisture meter can provide quick, accurate and reliable monitoring of wood flooring to ensure that the installed floor will not suffer from moisture-related problems. Pinless wood moisture meters, like our non-damaging line of wood moisture meters, can be used as often as necessary without marking the floor boards or causing imperfections that will become visible once the finish is applied. 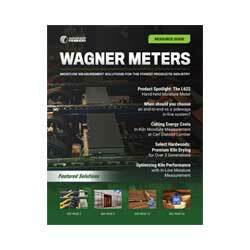 At Wagner Meters, we know an accurate wood moisture meter can keep you informed during each step of your process and ensure your success every step of the way. Our wood moisture meters are designed to help wood flooring installers be sure their wood is ready for the project at hand. From the first stages at the kiln to the first steps of each wood flooring project, the first order of business is to measure and be sure that the wood has acclimated to the right MC levels before beginning the job. Kiln drying is only the first link in the chain of MC management that is necessary for durable and beautiful finished wood projects. Would you use a moisture meter for wood that has been dead in log form for many years then sat out drying in 99+ degree weather after being milled for several months? Or is it just necessary when dealing with kiln-dried wood?